Lord knows motherhood takes its toll on a woman’s body. From stretch marks to wider feet to stronger nails and full hair (thanks prenatal vitamins!) to bulkier arms (from carrying the babies! ), carrying, caring for, and nurturing little ones definitely has its ups and downs. For expectant and new moms, it’s important to continue taking care of yourself and while there may be some treatments you have to put on pause until after the baby comes, the good news is that thanks to sugaring, your hair removal routine doesn’t have to take a backseat. Got questions about sugaring? We’ve got answers. Check out our FAQs on sugaring for expectant mothers. A: Completely safe! The paste is 100% all natural ingredients? Q: But what’s in it exactly and how does it work? A: Typically sugar, honey, water, and lemon juice. This mixture works as a natural exfoliant and gently removes hair from the skin with minimal to no pain. A: Nah, girl. Seriously, it’s as easy as 1-2-3! 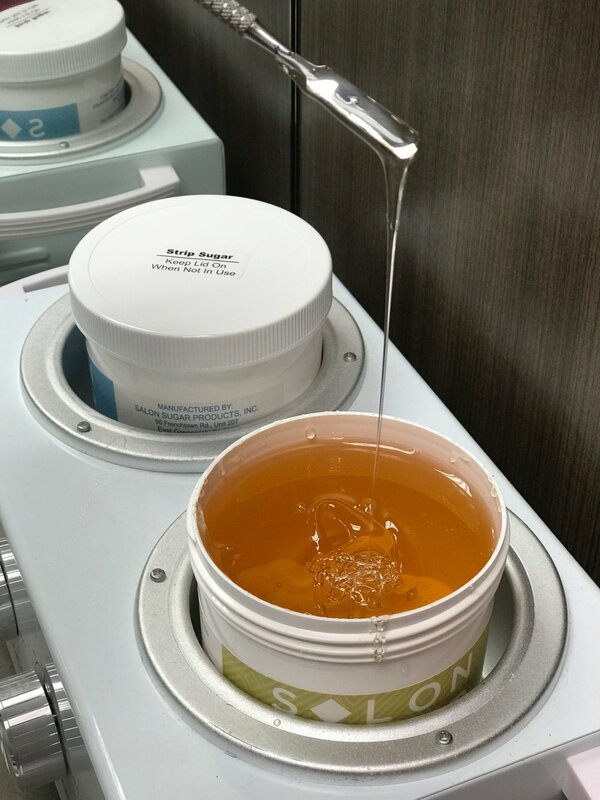 Plus, if you get your sugaring done at our studio, we guarantee that our paste is always warm, not hot. However, for expectant moms, you definitely want to make sure that you test it out on a small portion of skin first before going forward. Q: I’ve never done this before. Can I just go to any studio and get it done? A: While more and more salons and studios are starting to offer this service, not everyone is as skilled, so you should definitely do your research. A quick Google search will tell you what beauty technicians are offering it in your area. And if you find yourself in and around Sacramento, skip Google and hop on our over to Sugarlillies.